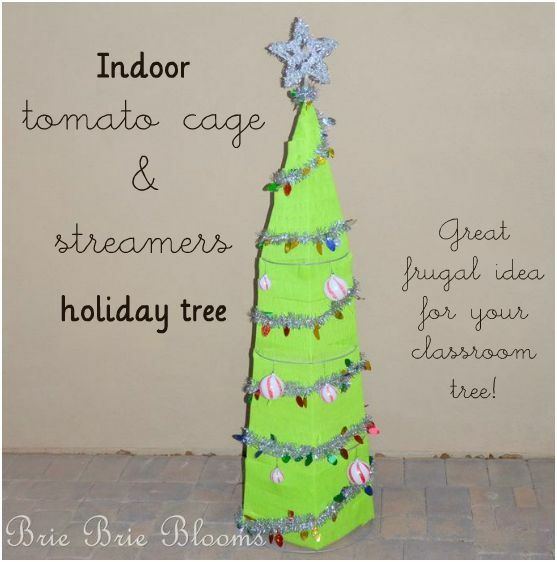 Indoor Tomato Cage and Streamers Holiday Tree – Great for the Classroom! My pre-k classroom doesn’t have a holiday tree yet. 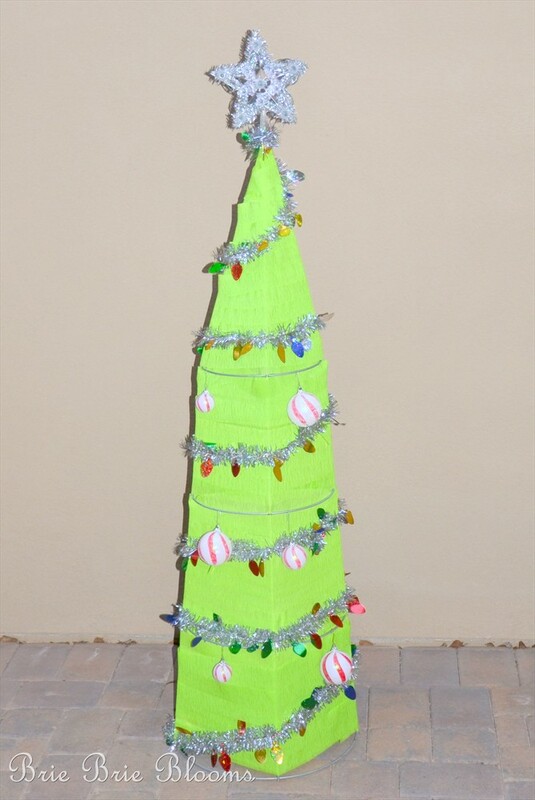 As we are getting deeper into the month, the kids are starting to ask when we are getting our classroom tree. This weekend I finally made our room a tree. 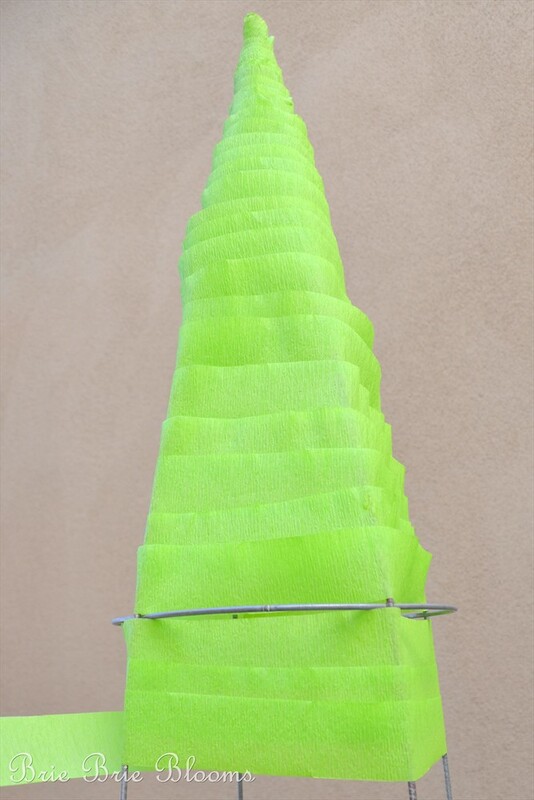 I used a 54″ wire tomato cage and a big roll of green streamers. To decorate the tree I purchased garland from the dollar store and added a star from our box of leftover decorations. 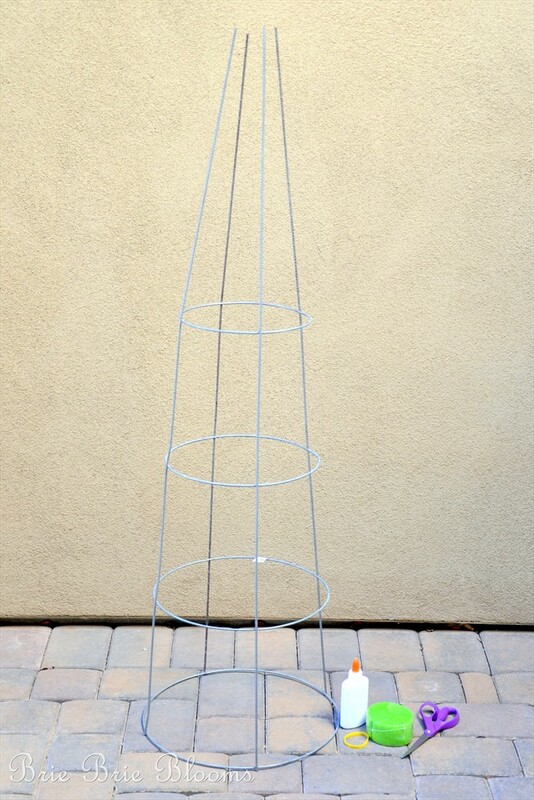 The entire tree cost $7 to make ($4 tomato cage, $2 streamers, $1 garland). Use the rubber band to hold the top of the wire cage together. 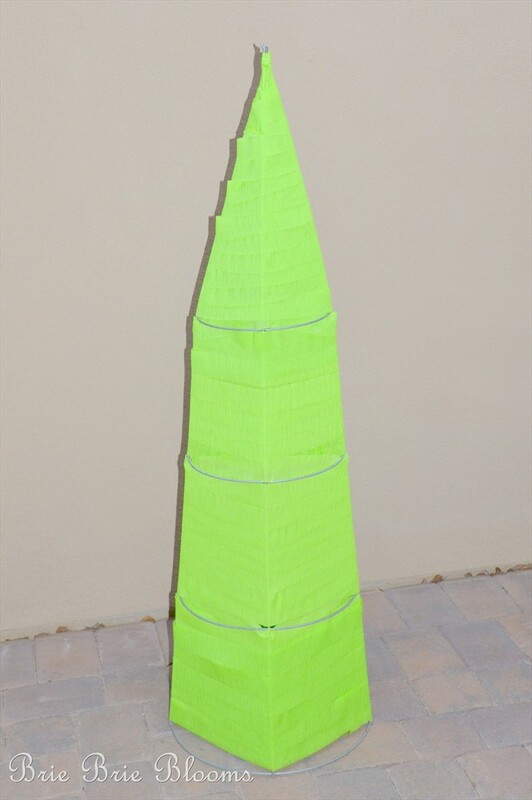 To start adding the streamers to the tree, add glue to the end and then wrap it around the top a few times. 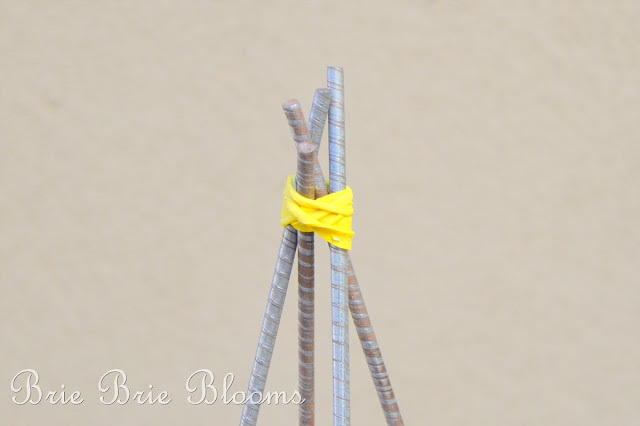 Continue wrapping the streamer around the entire wire cage. 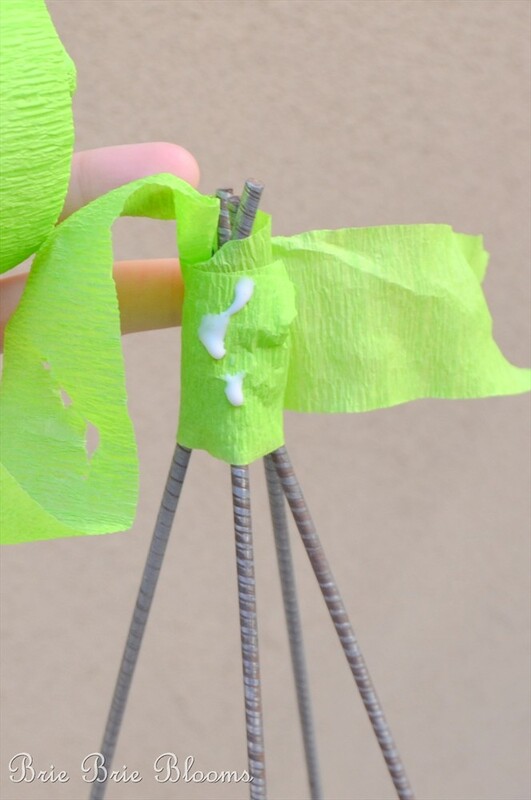 Add a few random spots of glue to hold the streamer in place. A few minutes later you have a tree! 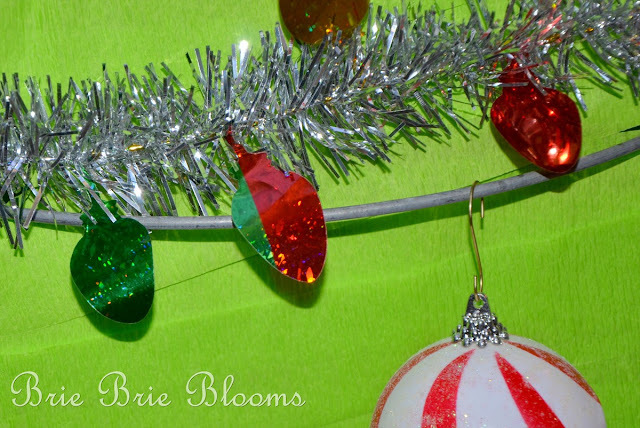 The dollar store garland and our extra star adds some sparkly fun to the tree. I also borrowed a few non breakable ornaments from our family tree. The ornaments are hung on the wire cage frame. They will be replaced by plenty of handmade ornaments tomorrow morning in the classroom. The kids in my class are going to love our tree!